Bunker fuel cost can be typically 50% of total voyage expenses and requires an efficient bunker management system. Monitoring of oil prices, careful fuel management, and continually evolving environmental regulations have become critical for environmental and financial reasons. 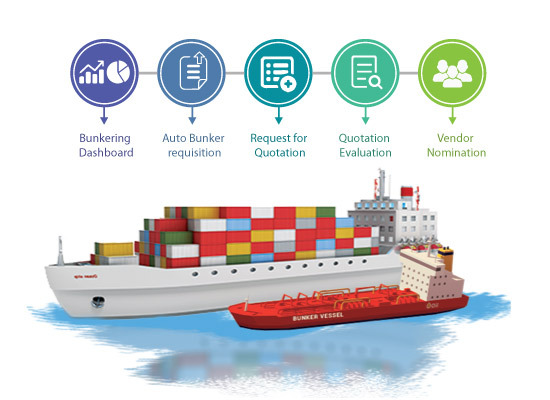 SVM BMS (Bunker Management System) is an intelligent system that assists you in optimizing the Bunker procurement plan with various business constraints. The Smart optimizer engine helps in the seamless flow of information and Optimized plans can be generated at regular intervals for varying scenarios. It is possible to determine the optimum operating state for your vessel and thereby maximize efficiency.